MEN SOUGHT: Police have released video showing three males in hard hats and construction worker clothes after a violent home invasion near Eglinton Avenue West and Yonge Street. Police have released security camera video showing three males wearing hard hats and construction worker clothes seven weeks after a violent home invasion near Eglinton Avenue West and Yonge Street. Three men allegedly assaulted and severely injured a 67-year-old man at the address and ransacked the house on Sept. 27 shortly after 7 a.m. The man reportedly answered a knock at his front door and was confronted by men wearing construction vests, hard hats and dust masks. The men were allegedly armed with firearms and forced their way into the house. The men made demands for money, tied the man up and assaulted him, police said in a press release. They apparently ransacked the house but fled without taking anything. The man was able to free himself and contacted the police. 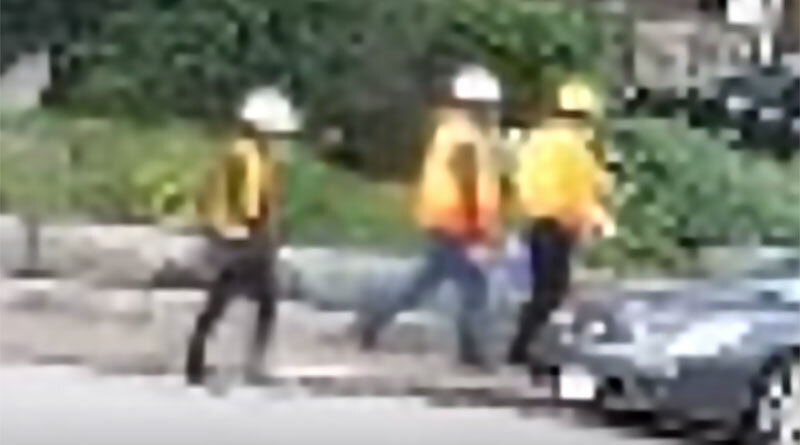 Police released security camera footage on Nov. 14, showing three men in construction garb walking to a dark grey or blue car parked on a side street and driving off. The men being sought are described as tall, black and in their mid-twenties. In addition to the construction clothing, the man wore black pants and carried a blue and white cooler, police said. The vehicle is identified as a 2007 or 2008 Nissan Maxima.